When you say you have nothing to cook with, the result usually is fabulous once your rummage through the remaining things in your fridge. That's what we did last night. 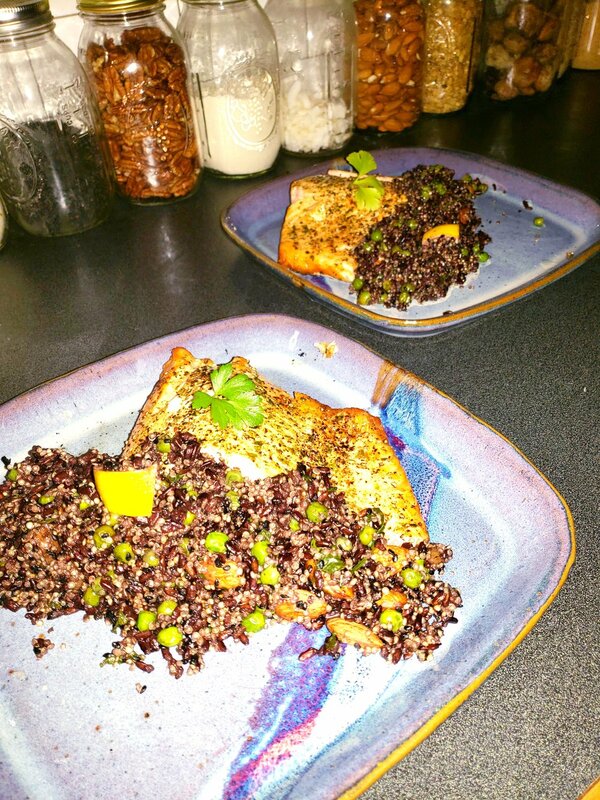 We has some beautiful wild caught salmon and needed to experiment with a little side dish that would do it justice. 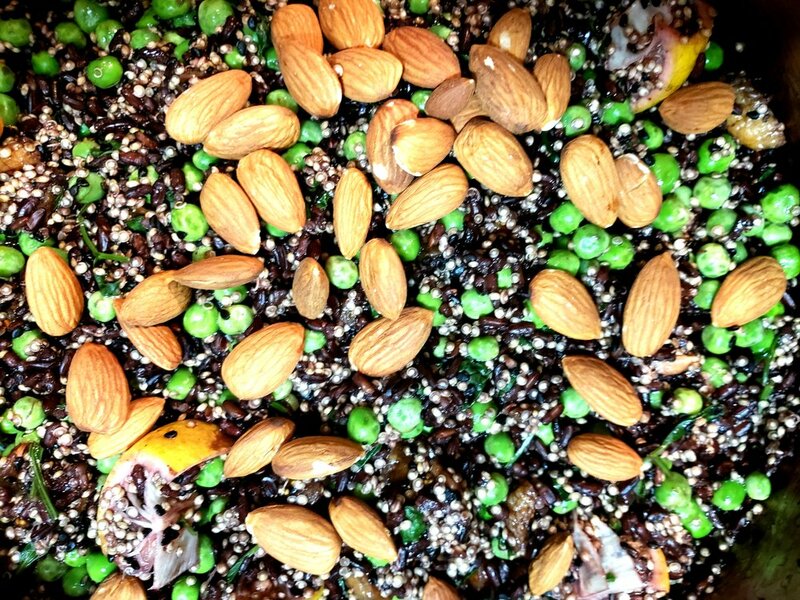 Voila - black rice and quinoa with lemons, figs, peas and almonds, seasoned with fresh cilantro, pepper, nutritional yeast and some fresh garlic.... In the end we could've just eaten that by itself, but the salmon really lifted it! Tim grilled the salmon with lemon juice and olive oil and seasoned it with only salt and pepper. It was so yummy and unique and super fun to cook! Another one for the books!